Resound has introduced a refreshed, high tech hearing aid called the Linx 3D. This platform is a refresh of Resound’s previous models offering improved speech recognition and situational awareness in different types of noisy environments. 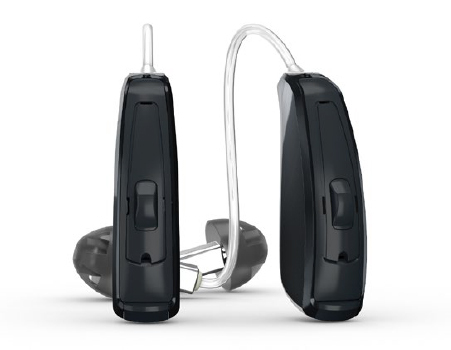 The Resound Linx 3D is available in all form factors including BTE and custom products. Resound claims that the Linx 3D is up to 50%† better at identifying speech in noisy environments. Modern hearing aids adapt their settings to the listener’s environment. Therefore it is critical that they can recognize different environments accurately. ReSound LiNX 3D recognizes speech-in-noise environments with up to 50%* greater accuracy than other premium hearing aids. Hear up to 80%†† more of the sounds around you, clearer than ever. Compared to other premium hearing aids, ReSound LiNX 3D hearing aids lets your patients hear up to 80%* more of surrounding sounds while still providing superior speech understanding in noise. Up to 40%†† more accurate speech recognition in noise. ReSound LiNX 3D hearing aids deliver all the benefits of directional technology while preserving the ability to hear surrounding sounds. With ReSound LiNX 3D hearing aids, your patients’ ability to recognize speech coming from any direction in noisy environments is up to 40%* greater than other premium hearing aids. We feel the Resound Linx 3D product is a worthy addition to our Best-In-Class hearing aid list. To try a set of Resound Linx 3D hearing aids, call us or email us by clicking here.